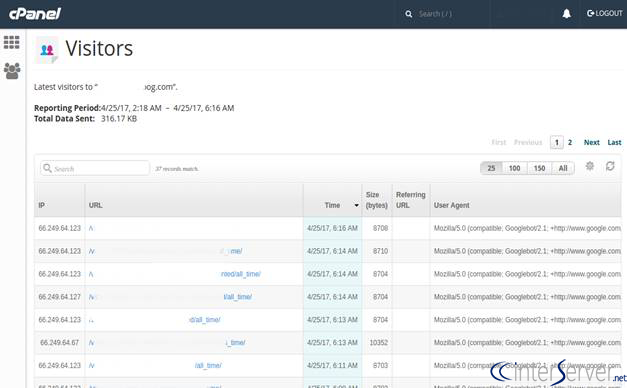 In this tutorial, you will learn how to view website visitors from cPanel. There are various scripts to view visitors on your website. If you have cPanel as the control panel for your website, it can be viewed easily. Knowing the visitors and statistics can sometimes be helpful. It can be useful for validating your website and testing the progress or results of any changes made to your website. 1) Login to your cPanel interface. For shared hosting customers, you can login to the cPanel from the portal at https://my.interserver.net >> Webhosting >> View Webhosting. You need to click on the button “Login to cPanel”. Otherwise you can login to cPanel by adding “:2083” to the end of your domain name. You need to enter your cPanel username and password to login. 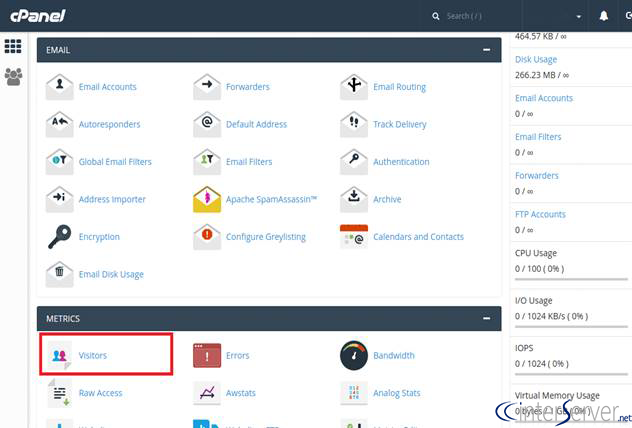 2) Go to cPanel >> Metrics and you can locate the section ‘Visitors’ there. Please click on the icon Visitors. 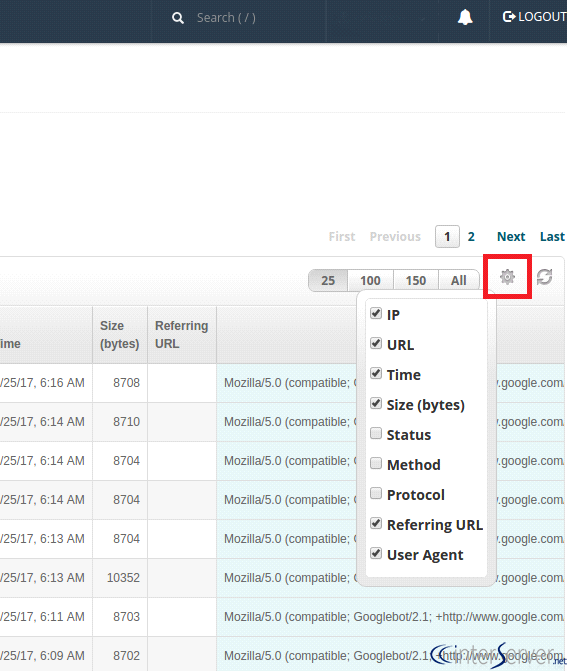 3) Below, you can view the list of domains in your account. You can view the visitors according to the domains. You need to select the domain name to view the visitors. You can click on the lens button at the right end of the desired domain name to see the visitors of that domain. Please refer the screen shot for an example. Now you will be redirected to the next page. It contains a list of the visitors of the selected web site. As mentioned earlier, the latest visitor will be shown first. A sample is shown in the following screen shot. From this window, you can see the following details. As you will see, all these fields are not displayed in the screen shot here. You can select what to be displayed here and what not to be. It can be selected by clicking on the gear icon at the top of the visitor list. You can also select the number of entries from 25, 100, 150 and All from the options near to the this button.